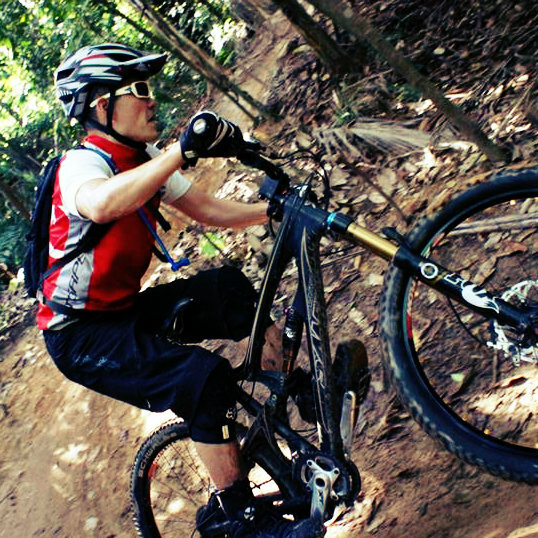 In February 2013, fractured my right collarbone during DH ride in BSA (Johore, Malaysia). 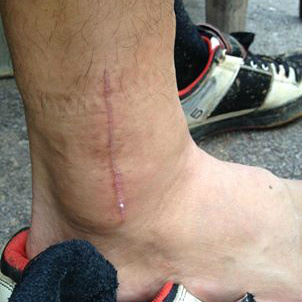 Unfortunately, 3 months later in May 2013, fractured my right ankle and fibula again during DH ride in Dangas (Batam, Indonesia). According to livelifehappy.com, "Strength of character isn't always about how much you can handle before you break, it's also about how much you can handle after YOU"VE BROKEN". 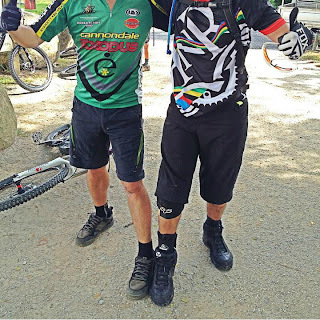 I could fully relate to the quote, and glad that I was able to do my first trail ride in T15 with my son in June 2013, 5 weeks after ankle surgery. 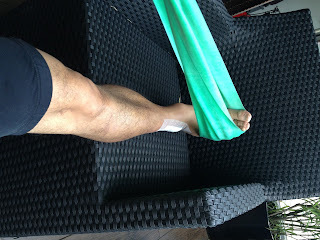 (Photo: 1 week after surgery) One week after surgery, I started therapy with ankle rotation and resistance exercise with the help of rubber resistance band. It was painful initially, but it became better when the ankle warmed up. The therapist advised 15 reps 4 times a day. I did more than that, until I could not do it anymore. (Photo: 2 weeks after surgery) I would like to give credit to the team in Alexandra Hospital, especially Dr Gamaliel Tan and his team who did a fantastic job to fix my ankle, and Dr Gukoeep who follow-up with my medical review. (Photo: 2 weeks after surgery) Instead of using air cast to support my right ankle, I spent about S$60 on Mcdavic ankle support to help me walk normally. Similar set can be bought online from CRC for less than S$40. It was painful to walk initially, but overtime the pain decreased as muscles around the ankle started to strengthen and wound begin to heal. 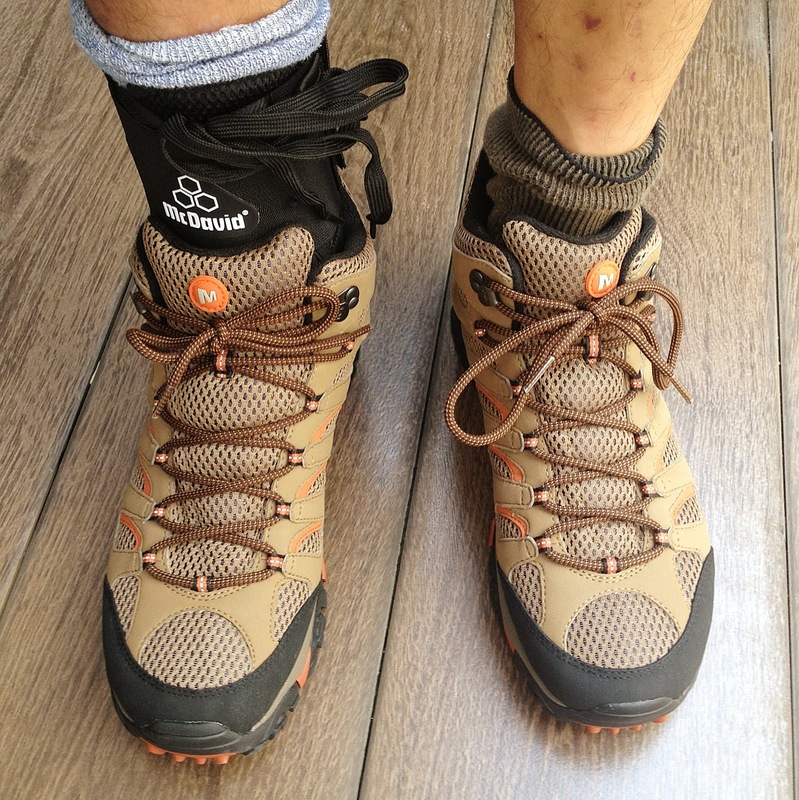 If I still used air cast to walk, the ankle would have remained rigid and weak. (Photo: 3 weeks after surgery) One week after surgery, I was able to ride trainer slowly for 10 minutes. 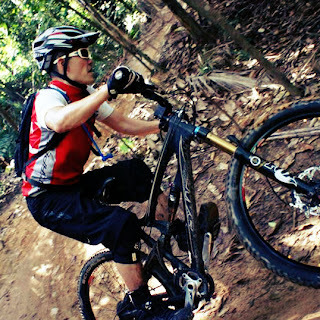 By 3rd week, I was able to ride at higher resistance for more than 30 minutes. Trainer not only helps to reduce ankle rigidity, but to increase blood circulation to my ankle and increase the speed of healing. (Photo: 3 weeks after surgery) I started calve muscle exercise about 3 weeks after surgery. For a start, my left ankle supported most of my body weight while the fractured right ankle went with the flow. As the pain reduced, more body weight was transfered to right ankle to build the weakened calve. 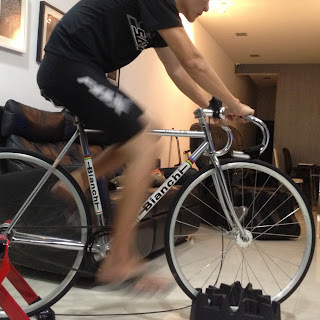 This exercise is important to prepare my ankle for actual riding. 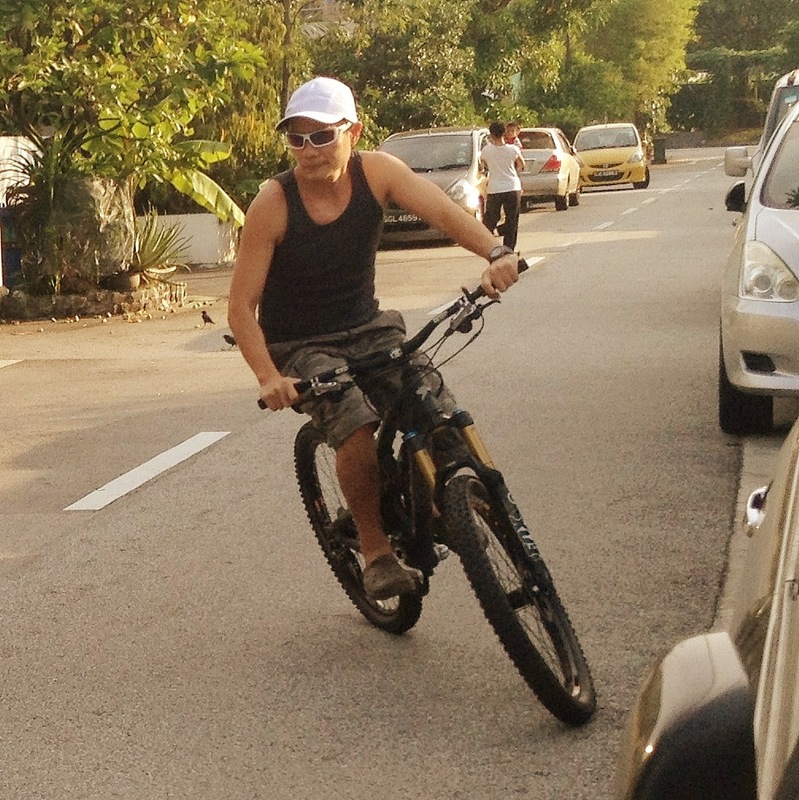 (Photo: 4 weeks after surgery) I started to ride around my neighborhood and PCN 4 weeks after surgery, in addition to all therapy exercises. 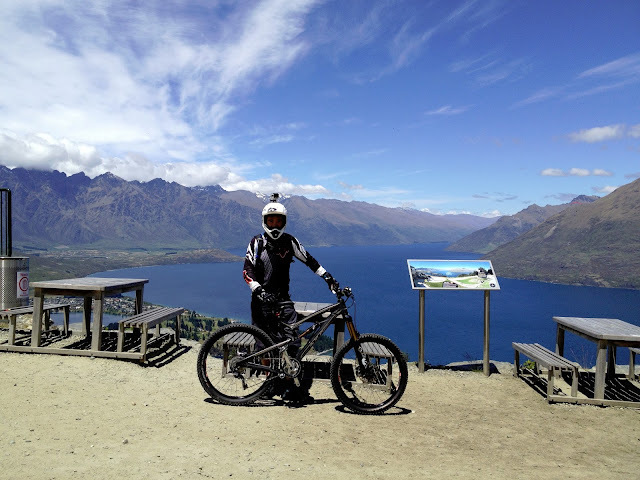 No hopping and funny stunt, just slow and careful rides on flat surface. (Photo: 5 weeks after surgery) Ready to do my first trail ride 5 weeks after surgery. Fortunate to have the companion of my son. 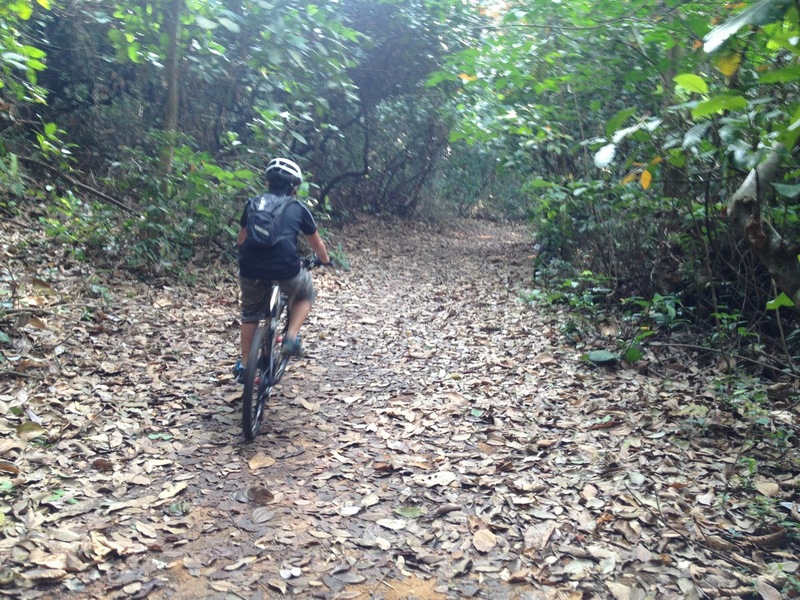 We decided on T15, as the trails were smooth and easy to ride. (Photo: Zan and Chris) This is the other end of T15. 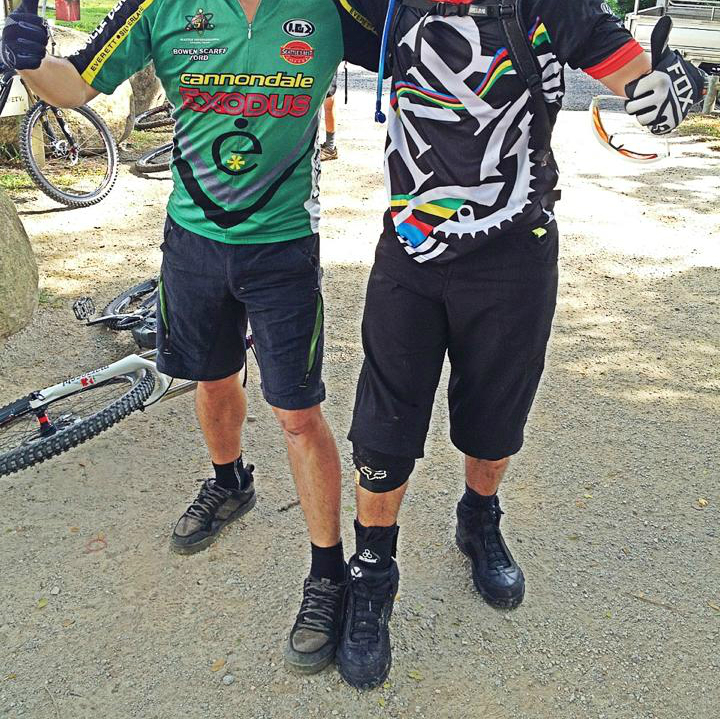 Good to meet many MTB kakis along the way. 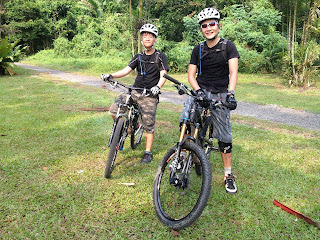 Managed to help one bro with loosened saddle and another bro who was in need of pump. Feel awesome to be back on the green 5 weeks after surgery. 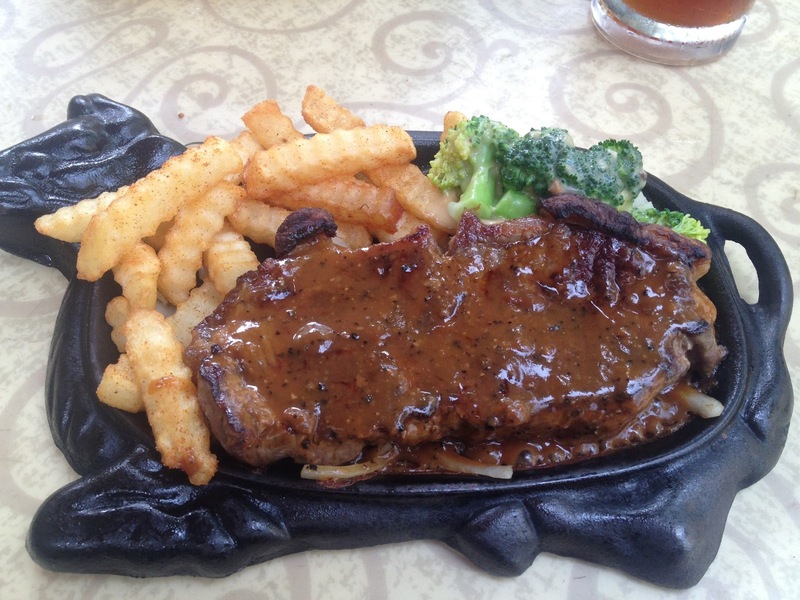 (Photo: KSL S$9.80 Steak) Reward ourselves with good old steak at KSL. 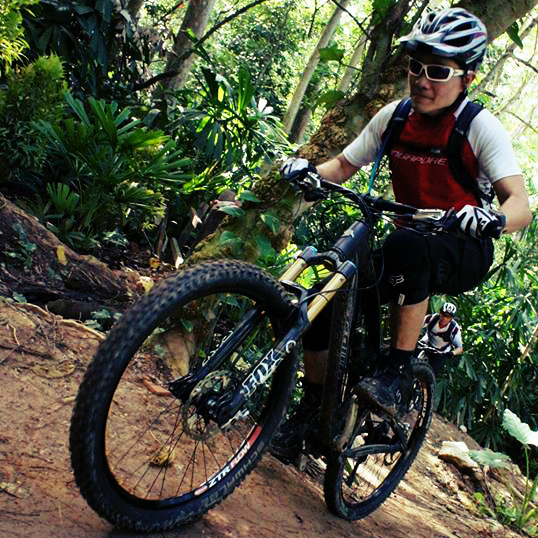 Missed the trails and food...good to be back! 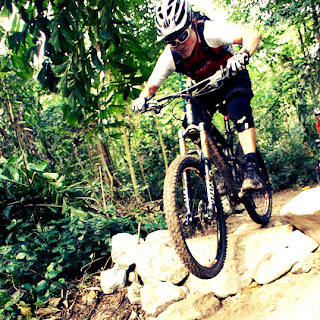 Look forward to more trail rides!!! 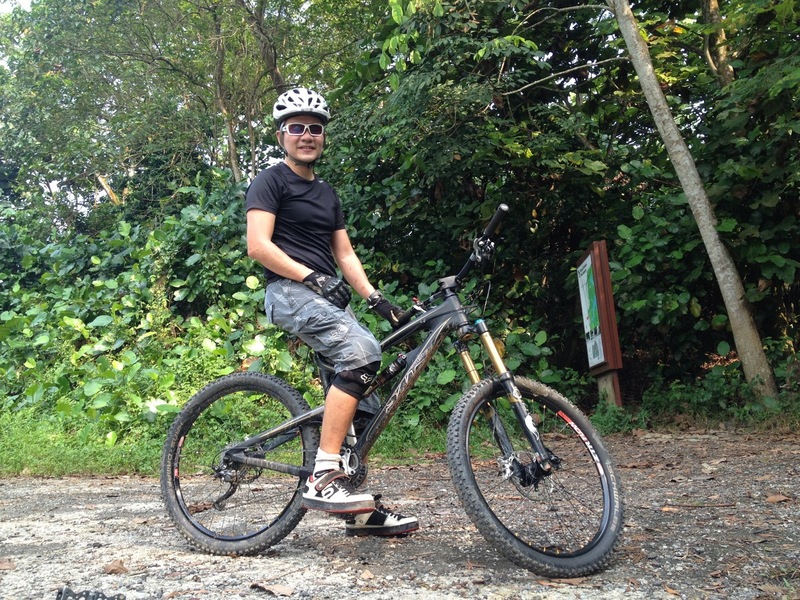 (Photo: 8 weeks after surgery) First ride at Ketam Bike Park after ankle surgery. Managed to complete one loop in respectable timing. 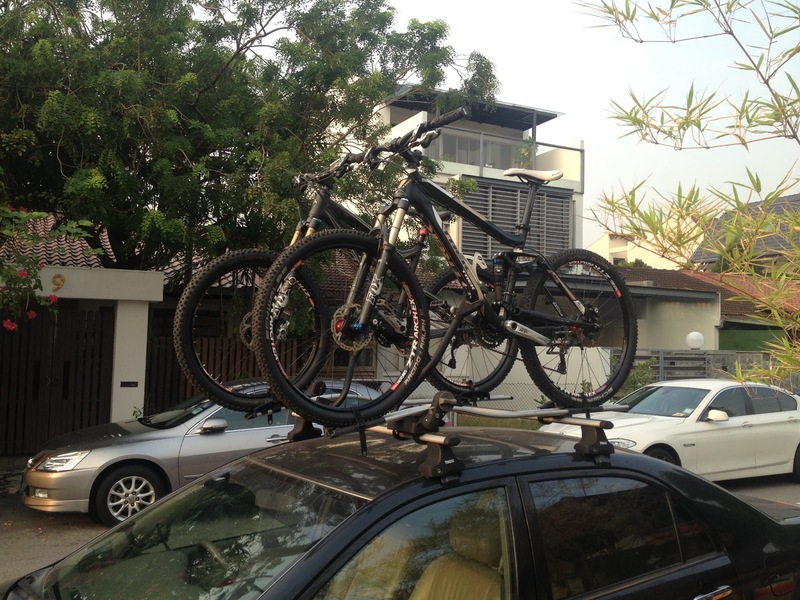 Need to push up two slopes where I used to be able to pedal up. No pain while riding as I tried to avoid jump and chose lines carefully. Awesome ride. 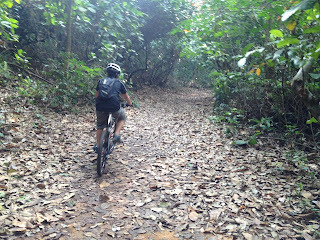 (Photo: 10 weeks after surgery) Did my first ride at the newly upgraded Bukit Timah MTB trails 9 weeks after surgery. The fractured ankle was weak and the pain was bearable. 10 weeks later, did my 2nd ride at the same trails. Happy to meet my buddy Ming who also suffered serious ankle fractured 3 weeks before me. The ride was awesome and painless. (Photo: 12 weeks after surgery) I was able to ride Bukit Timah MTB trail with ease The photo illustrates attempt to climb steep slope on my Nomad. (Photo: 12 weeks after surgery) No problem doing downhill tight switchback, though I was consciously careful not to skid as the trails were wet and slippery due to earlier rain. 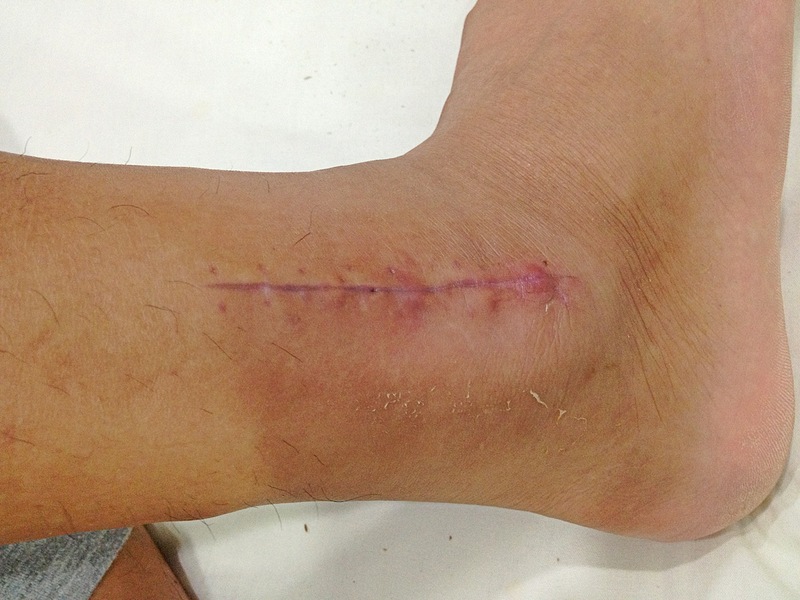 (Photo: 12 weeks after surgery) I was careful not to attempt black diamonds track and chose the easier lines instead. No pain on my ankle during the ride. Went for medical review and happy to know that the broken ankle has unionized. I was given green light to go ahead with normal activities. My active lifestyle and regular exercise regime helped to speed up recovery process.